As an entrepreneur with a great business concept, you’re extremely busy. Setting up and running your new company in an effective manner may require your attention to every last detail so that you can save costs while also protecting your bottom line. Most entrepreneurs need to provide access to cash for their employees while also wanting to reduce their expenses. You can do so with the startup business credit cards which allow you to control your company’s spending while having access to the cash that you need. What are the startup business credit cards? Startup business credit cards function like credit cards, but they are prepaid. When you choose a credit card for startup business, it is important for you to be able to control the spending of your employees. Many companies fall victim to employees who overspend or who make unapproved purchases using new business credit cards. You can prevent these types of losses from happening with a Bento for Business Visa debit card instead of a credit card for startup businesses. Entrepreneurs need to be able to have access to the cash that they need when and where it is needed. It can be difficult to get approved for a new business credit card until your business has been running for a substantial amount of time. With startup business credit cards you simply choose the number of cards that you need for your employees and fund each one. You can assign spending categories to your employees according to their job duties and see what is being spent at any time from your dashboard. A credit card for startup business doesn’t have the same benefits a business Visa debit card has. Instead a startup business credit card has a revolving line of credit. A business debit card provides freedom for new startup businesses that have not been open for long enough to establish credit histories but that still need to be able to give their employees spending cards. One of the biggest worries for entrepreneurs is keeping their business expenses in check. When you have numerous purchases that need to be made, it can be easy for your company’s spending to spin out of control. Startup business debit cards from Bento for Business can help you to get your company’s spending down to within your budget. You are able to fund each card individually and designate the types of spending that the cards allow. For example, if one employee manages and orders your office supplies, you can limit the card that he or she has to only office supply purchases. Another employee’s card can be dedicated to just paying for utility bills while a different employee who must travel can make pump-only gas purchases. With a click of a button, you can see exactly what has been spent and what remains on each card. If an employee attempts to make an unapproved purchase, the transaction will be declined. These cards allow you to turn off or to turn on the cards instantly from anywhere, using your mobile device. Bento for Business opens doors for new businesses by offering these expenditure-controlling cards. 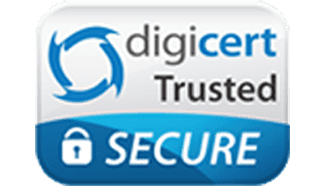 We use the highest level of SSL encryption, and our cards are insured for up to $250,000 by the FDIC. 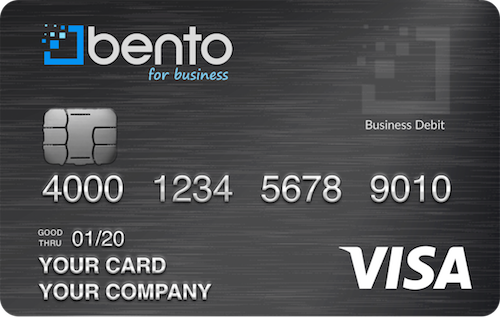 Find your business Visa debit card at Bento for Business! Start your free 60-day trial now or call us at 866.220.8455 to learn more!